Would You Slow Down for Him? I saw this policeman when I was stopped at the corner at a stop sign. As I pulled forward I realized they had me as this was a cutout and not a real policeman at all. 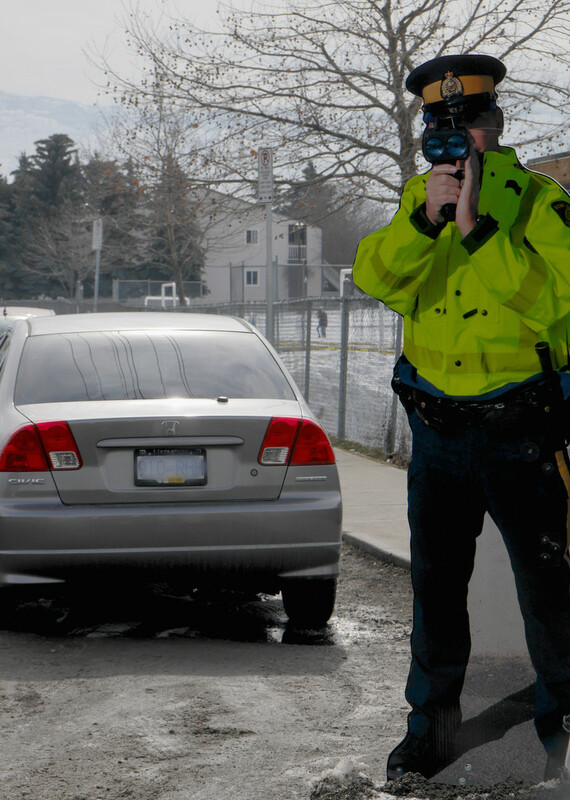 It did work to make vehicles slow down in the school zone. Clever, eh. I've seen these before. They are a great idea. Wow, it looks so real! as a cutout he does the trick. That’s mean.....of the city council, I thought that you had edited him into your picture. What a clever idea I bet it slowed down a lot of people in the school zone.